The types of questions asked in the IELTS Reading test are fills in the blanks, match the following, true/false/not given, yes/no/not given, list of headings, multiple choice questions, etc. The questions vary from time to time and test to test ranging from filling in the blanks given in a sentence, a paragraph, a table, a diagram, a chart, etc. While filling in the blanks, the skills that are tested are scanning the text for specific information, selecting an appropriate word, following the rules of grammar, and understanding information in the passage. “In this task, one is asked to match the information given in the question with that in the text. The skills tested in this type of question are your ability to scan through the text for information and the ability to identify specific information. In this task, one is to decide whether the information in the question sentence is also found in the text. In case it is, the answer is true, in case the information does not match, the answer is false, and in the case of no such mention in the text, the answer is not given. The skills tested in this type of question are the ability to scan through the text for surgical information, understanding and identifying specific information. In this task, one is to decide whether the author’s opinion in the question sentence is also found in the text. In case it is, the answer is yes, in case the opinion does not match, the answer is no, and in the case of no such mention in the text, the answer is not given. The skills tested in this type of question are the ability to scan through the text for surgical information, understanding the author’s intent and identifying specific information. In this task, you are given a list of headings and are required to choose a heading which matches each paragraph of the text. The skills tested in this section are understanding the general idea and purpose of the test, understanding the main point as well as supporting points, identifying the difference between main and supporting points, etc. In this task, you are to choose the correct answer to a question, or the correct ending to a sentence, the correct option from a list of words or names. The skills tested in this type of question are scanning the text for information and identifying the related information. This set of questions often get a little confusing because of the number of options. In some cases the number of options is more, thus leaving out a few options and in other cases, the number of options is less, thus resulting in one option to be selected multiple times for the same question. IELTS or the International English Language Testing System is a test designed to test the English proficiency of the non-native speakers of the language. This test is divided into four sections: Listening, Speaking, Reading and Writing. In this article, we are going to discuss the IELTS Reading test pattern 2019 in detail. The IELTS Reading test is 60 minutes long and is basically a comprehension test that we all have gone through in our language classes during school days. The Reading test is designed with the purposes of assessing the test taker’s ability to understand written English, understand the purpose of the text, the main point and any supporting point mentioned in the text and also to infer information based on that text. The scoring is based on correct answers which are grammatical and in the correct spelling. There are 40 questions and each correct answer is awarded 1 mark. The IELTS Reading test pattern 2019 is different in terms of content for Academic and General Training. The IELTS Academic Reading test pattern is further divided into three parts. Each part consists of one long text followed by questions which are based on the text. The level of difficulty increases as we proceed in the test from one section to another. The IELTS General Training Reading test pattern is again divided into three parts. 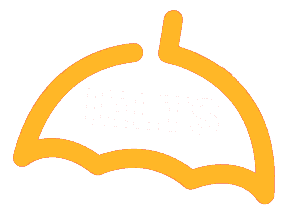 The first two sections of the IELTS General Training Reading test consist of multiple small paragraphs followed by questions and the third section consists of one long text followed by questions based on the content of the text.